The Queen’s Scout Award (QSA) is the top achievement for Explorer Scouts and Scout Network members and comprises of a variety of activities to complete. The QSA is linked closely to the Duke of Edinburgh’s Gold Award and it is worth working on the two awards together. The Queen’s Scout Award is for Explorer Scouts aged 16 and over, and Scout Network members. Participants have to be a member of the youth programme in order to complete a youth award. The Gold DofE requirements are equivalent to the five Queen’s Scout Award Challenges (Service, Skill, Physical, Expedition and Residential). 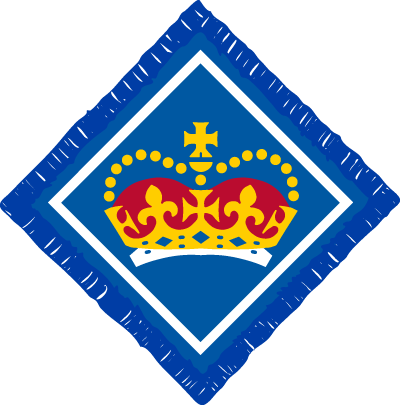 Individuals who have completed the Gold DofE therefore do not need to repeat these challenges in order to achieve their Queen’s Scout Award; however they will need to complete the additional Scouting specific requirements of the Queen’s Scout Award. Individuals who have not completed their Chief Scout Diamond Award or their DofE Silver are required to complete an extra six months in either the Service or the longer of the Skills or Physical challenges. Click here for support materials issued by HQ for the Queen’s Scout Award, including ideas for each part of the award. For more information about the Queen’s Scout Award, the information on this website or the process, please contact the County QSA Coordinator by emailing, QSA@nullgmwscouts.org.uk. Firstly, you should complete the online registration form below and download the QSA Log Book and Completition Form (link below). Skill: Take up a skill for six or 12* months, and show progress and lasting interest. The skill can be an existing interest or something entirely new. Physical Activity: Take up a physical activity for six or 12* months, completing an agreed programme by taking part and achieving your objectives. Service: Provide service to an individual or the community for 12 months. Briefing and training should be given in order to gain the necessary skills. This may include helping with another section of the Movement as an Explorer Scout Young Leader or adult volunteer. Expedition: Undertake training, a practice expedition and a four day, three night self-led final expedition (including a project). You should undertake training (to show you are ready to do your expedition, a practice expedition and then the final expedition).